On the first anniversary of Israel’s war on Gaza, shocking revelations are appearing on the methods and reasoning behind the war, writes Saleh Al-Naami. The infant’s chances of survival are very low because under siege medical services in Gaza are not equipped to treat such cases. The mother told doctors that during the war she inhaled excessive amounts of white phosphorous smoke because of repeated attacks on her area. White phosphorous is a chemical incendiary agent that is highly combustible when mixed with oxygen. It burns through skin, body tissue and bones; the corpses of white phosphorous victims are usually heavily charred. In a report marking the first anniversary of the war, the Dameer Centre for Human Rights reported “high levels of deformed births and miscarriages”, and that the use of radioactive and toxic ammunition by the Israeli army on Gaza resulted in significant deterioration in the health of Palestinians. 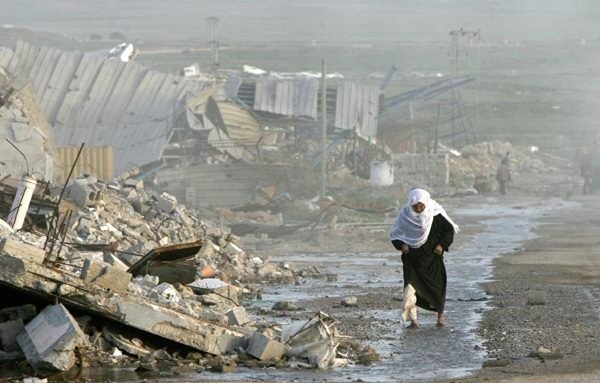 The report was based on a survey that found that health and environmental conditions in the Gaza Strip are worsening by the day as a result of Israel’s aggression and border closure by occupying forces for the third consecutive year. Meanwhile, Italian researchers revealed that the soil in Gaza now contains carcinogens and toxins as a result of Israel’s use of internationally prohibited weapons during the last war on Gaza. In a news conference in Gaza City, experts said that these toxins and carcinogens are a high risk to unborn children, and called on the Palestinian Health Ministry to test all Palestinians in areas that were bombed during the war. The Italians, who carried out fieldwork in these areas, further warned that many Gazan residents would suffer from chronic gastrointestinal and respiratory illnesses. According to these experts, tests that were carried out inside Gaza indicated that 12 toxins and radioactive materials were released by Israel’s abundant use of internationally prohibited weaponry. Such weapons led to the bodies of many victims being mangled. More disturbing facts are being disclosed. Adala Human Rights Centre asserted that the Gaza Strip is now home to the highest number of disabled people in the world. Some four per cent of Palestinians in the Gaza Strip, or 70,000 residents, have some form of disability. Their suffering is compounded further by Israel’s refusal to allow the passage of necessary medication and rehabilitation materials for them. At the same time, Israel prevents any of them from travelling abroad to seek medical help. He further accused all Israelis of participating in the hostile plot against the Palestinians, noting that Israeli politicians, artists, the media, university researchers and intellectuals supported this war with enthusiasm. Yiftahel asserted that Israel’s war on Gaza, and Hamas specifically, came in reaction to Hamas’s rise to power that undermined the possibility of reaching a two-state solution. “This solution is ideal for Israel because it would mean Israel could continue its settlement project indefinitely,” he stated.